From our stand-bys like jalapeño-cheddar and apple & sage, to our Wurst der Woche and special collaborations with local establishments. Produced every Friday. Too much to devour over the weekend? They freeze well for later. Whether you like it streaky or prefer back bacon, we've got the smoked, thick-cut bacon you're missing. We also stock some tasty herbed pancetta. Don't call it blood sausage. Ours is a traditional, flavourful Scottish recipe made with gluten-free oats. We also make a tasty white pudding too. 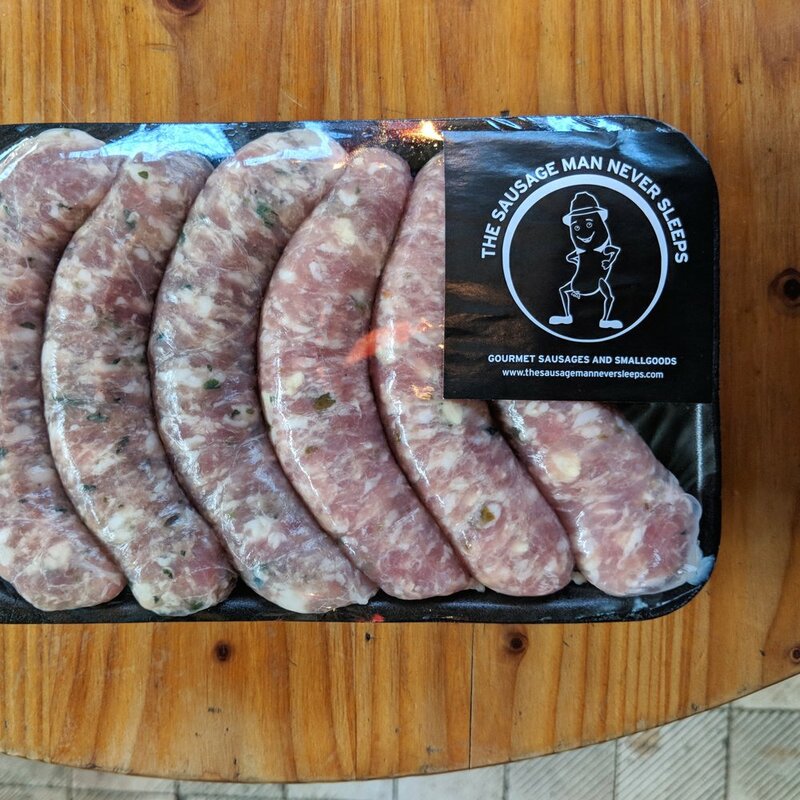 In addition to fresh, we make cured sausages like chorizo, andouille and our popular ready-to-eat knackers, which will last in your fridge - and on retailers shelves - a bit longer. Our Käsekrainer and Frankfurters (also known as hot dogs) are hot smoked for great flavour as well as the longer shelf life - though we promise you're gonna want to eat them all at once. Every now and then, we get a local pig and butcher it from nose to tail. When we do, we always try something new, like our hamburger must-have bacon jam or Bacon Dreams, a creamy rendered pork fat, chock-full of crispy bacon bits.